Copyright © 2013 Thomas L. Wilson. This is an open access article distributed under the Creative Commons Attribution License, which permits unrestricted use, distribution, and reproduction in any medium, provided the original work is properly cited. A new approach to solving two of the cosmological constant problems (CCPs) is proposed by introducing the AbbottDeser (AD) method for defining Killing charges in asymptotic de Sitter space as the only consistent means for defining the ground-state vacuum for the CCP. That granted, Einstein gravity will also need to be modified at short-distance nuclear scales, using instead a nonminimally coupled scalar-tensor theory of gravitation that provides for the existence of QCD’s two-phase vacuum having two different zero-point energy states as a function of temperature. Einstein gravity alone cannot accomplish this. The scalar field will be taken from bag theory in hadron physics, and the origin of the bag constant B is accounted for by gravity’s CC as B—noting that the Higgs mechanism does not account for either the curved-space origin of λ or the mass of composite hadrons. A small Hubble-scale graviton mass naturally appears external to the hadron bag, induced by . This mass is unobservable and gravitationally gauge-dependent. It is shown to be related to the cosmological event horizon in asymptotic de Sitter space. The literature [12,13] speaks of using Minkowski counterterms to subtract from the bare in Friedmann-Lemaitre-Robertson-Walker (FLRW) cosmology in order to derive the physical, renormalized VED in curved spacetime. This creates major confusion. It uses flat metrics to fix the asymptotic states of cosmological metrics that are never flat. One theme here will be to take this reasoning a step further to preclude crosscomparison of asymptotic spacetimes. This will involve the Abbott-Deser (AD) method of identifying mass and energy  and their Killing-charge successors as the unique quantities associated with the asymptotic geometry at spatial infinity of de Sitter spacetime. .3 (b) In contrast, the second CCP [15,16] is to understand why is of the same order of magnitude as the present mass density of the universe in Freidmann-Lemaitre-Robertson-Walker (FLRW) cosmology. We will paraphrase the CCP(s) differently here with the goal of identifying a well-posed statement of two of the problems. Then an attempt will be made to show how they can be approached in hadron physics using scalartensor theory. 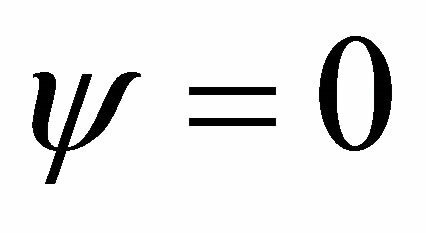 The original CCP assumed here (CCP-1) is to explain how gravity theory can have two different vacuum energy states or two different cosmological constant (CC) values when Einstein gravity only permits one as a universal constant throughout all of spacetime. The second (CCP-2) is to understand how quantum fluctuations relate to the ground-state energy of curved spacetime in order to define the zero-point energy of the gravitational background in a consistent fashion. Resolving CCP-2 is essential to defining the ground-state energy for investigating CCP-1. We will take these in reverse order, addressing the zero-point fluctuation issue in FLRW cosmology in Section 2, and developing the scalar-tensor model in Section 3. Experimental questions will be addressed in Section 4. Assumptions and postulates are identified in Section 5. And conclusions follow in Section 6. An Appendix gives the derivation of the cosmological constant as a gaugedependent graviton mass in the weak-field limit, a result that is directly related to the AD formalism and the cosmological event horizon present in asymptotic deSitter spacetime and the FLRW universe (Section 4). At late times the latter presently behaves like an accelerating de-Sitter spacetime [7-9], discussed in Section 2. 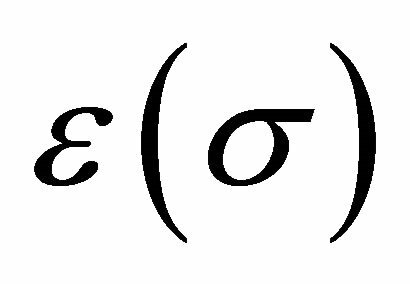 The appearance of a graviton mass [see derivation in Appendix, (65) and (66)] is natural, following directly from EG with and having an obvious smooth zero-mass limit as . It is not introduced ad hoc in the usual manner based upon adding the PauliFierz Lagrangrian for a mass (where was originally assumed) adopted in particle physics. 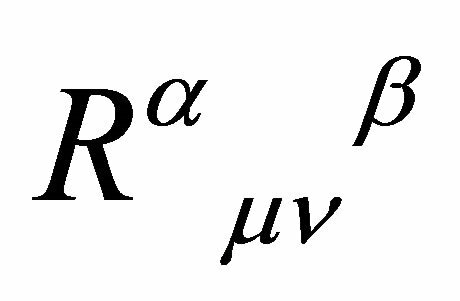 Arnowitt, Deser, and Misner (ADM)  were first to derive a canonical formulation of general relativity (GR) as a Hamiltonian system for the simple Schwarzschild case in (3). They determined the ADM energy, momentum, and mass defined by the asymptotic symmetries of (2) and (3) at spatial infinity. 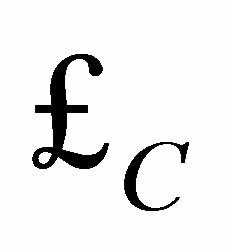 Conserved charge (mass, energy, etc.) is associated with a conserved vector (Noether) current which is determined by reducing the stress tensor density conservation law in EG to a conserved vector current law using Killing vectors ξμ. 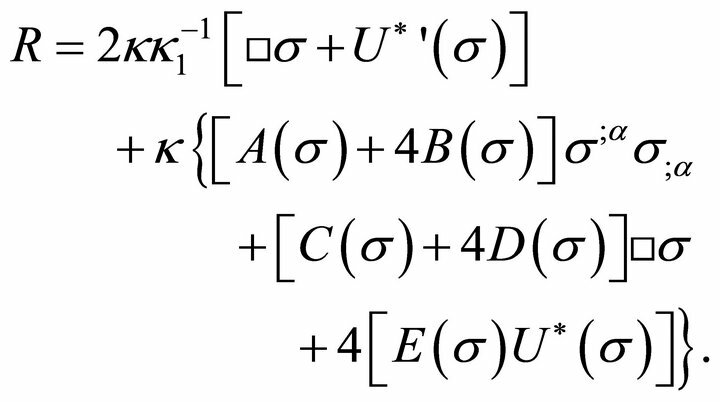 The ADM mass results and is equivalent to the Schwarzschild mass M, in (3). Note that the Schwarzschild metric, (2) and (3) with , is asymptotically flat as . Note also that assuming and results in flat Minkowski space. 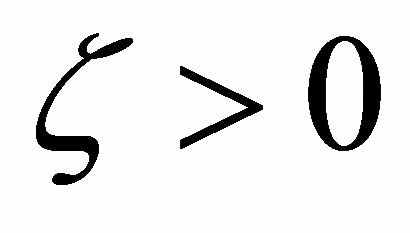 In either case, the energy of Minkowski space is zero as expected. Classically speaking, it likewise has no VED. 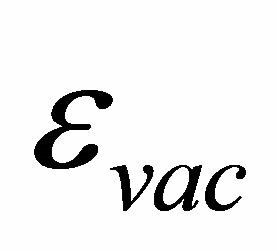 In this sense, the natural vacuum of EG without λ is flat space with all its Poincaré symmetries. 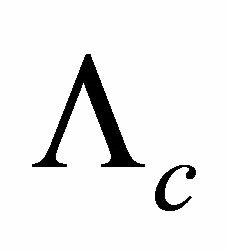 Abbott and Deser [14,20] extended the fundamental ADM approach used in the Schwarzschild case and defined the AD Killing charges for the full SdS metric when it asymptotically becomes de Sitter space (dS), as opposed to the asymptotic flat case above. These AD charges have become very important because of their direct relevance to cosmological gravity and, as will be shown here, the CCP. This work has been extended by Deser and Tekin [21-24], and the collective results will be referred to as the ADT formalism. 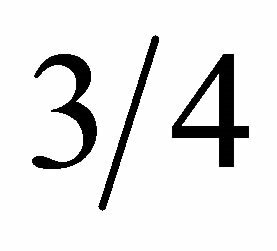 There is an apparent singularity in (3) for at , that keeps the observer from proceeding smoothly to infinity. 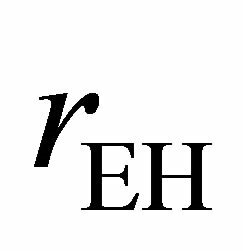 Gibbons & Hawking (G-H)  developed rEH as a cosmological event horizon characterizing asymptotic dS whose surface gravity is . AD  further pointed out that the Killing vector ξμ is timelike only within the background cosmological event horizon . The usual meaning of global energy E and the timelike Killing vector are lost on the super-horizon scale for . This will be discussed further in Section 4.
where the term is the volume of the spacetime and has been added here to account for the pure dS case with in (3) and (4), involving higher-order terms not addressed by ADT. Dividing (4) by to create an energy density, this same term has been found by Padmanabhan  using different methods. Cross-comparison of cosmological gravity with flat metrics contributes to the disparity in the old CCP where conclusions are being drawn based upon a comparison of incompatible asymptotic spacetime vacuum states in EG for dS versus flat QFT. Such comparison breaks the principle of compatible asymptotic states.9 Yet this procedure is commonplace in the CCP literature, an example being the fine tuning problem where quadratic and quartic divergences in flat Minkowski space are being compared with asymptotically pure de Sitter (APdS) spacetime in cosmological gravity. with Gaussian curvature [32-34]. 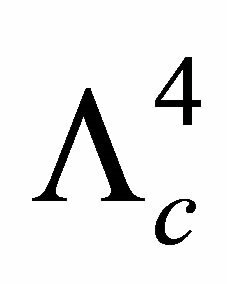 In its late stages (current epoch), (5) is asymptotically an accelerating de Sitter space determined by the cosmological parameter as derived from the EinsteinFriedmann equations . 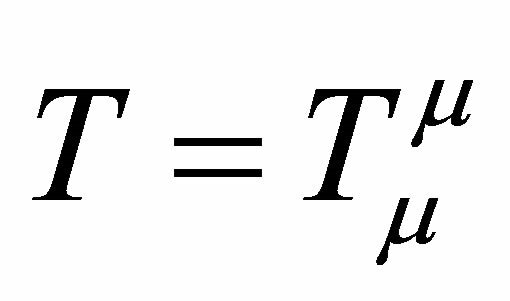 The global energy of this universe is determined by the ADT charges for APdS spacetime with in (2), (3), and (4) (no ADM mass). 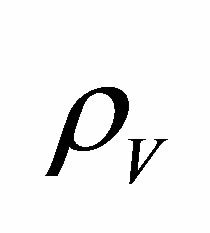 This is a critical point to make when defining the zero-point vacuum fluctuations and renormalization issues in general for the CCP. The suggestion by Maggiore et al. [12,13] for re-defining the counter-term subtraction scheme to eliminate the quartic divergence is a promising idea. However, it is beset with at least one problem. It violates the compatibility principle of Section 2.1. Renormalization counter-term methods must conform with the ADT prescription for APdS spacetimes involving cosmological gravity having metric . 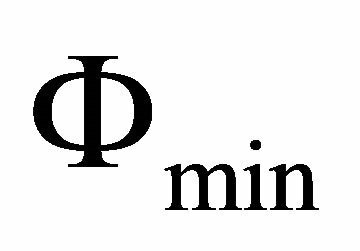 Flat Minkowski space is not relevant because there is no in that metric. where the background is often defined symbolically as . When the result is flat Minkowski space which has no gravity. where must be the APdS spacetime representing FLRW cosmology in the current epoch, an accelerating dS with . That granted, assuming that is flat Minkowski space violates the principle of compatibility. The ground-state vacuum of nonflat APdS spacetime has little to do with the ADM charges that derive from the asymptotically flat Schwarzschild metric and flat Minkowski spacetime. The standard textbook procedure for analyzing quantum vacuum fluctuations inspired by inflation in cosmology is given by Weinberg  and is the same method that appears in the ADT procedure discussed above, while adopting (7) [14,21-24]. 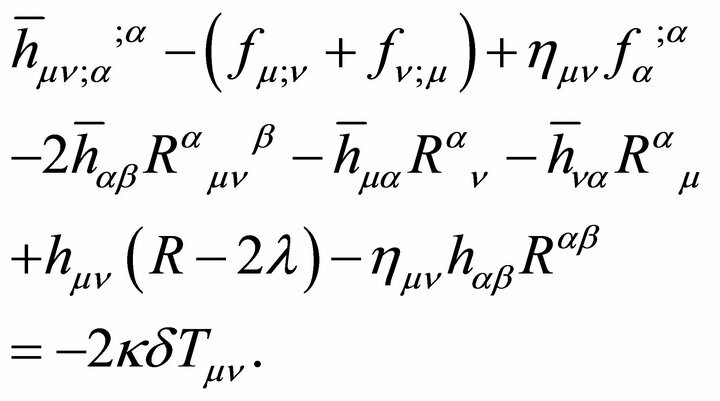 The gravitational field equations (9) are separated into a part linear in plus all of the nonlinear terms that constitute the total source, the stress tensor which is conserved using the Bianchi identities. 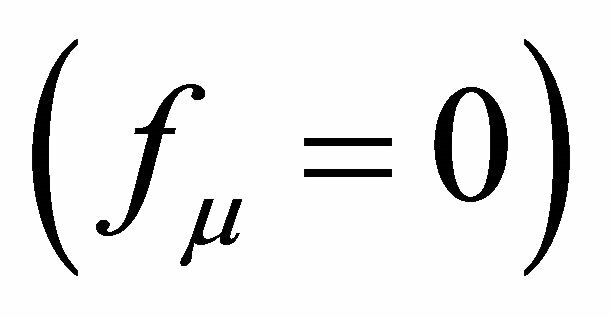 Hence, global conservation of energymomentum in the universe is assumed in these derivations. However, the catch like the caveat is that the global Killing charges may not be understood or consistently defined. Having made the point that the origin of the CCP originates in (1), which derives from FLRW cosmology and which is currently interpreted as an accelerating de Sitter phase, the asymptotically pure de Sitter metric is the vacuum ground state for addressing this problem, as depicted in (8). This is not an assumption. It is the only conclusion that seems to follow from consistency and the principle of compatible asymptotic states (Sections 2.1 and 5). Flat Minkowski spacetime is not relevant because it has no , breaks the principle, and invokes the caveat. We are now prepared to advance to CCP-1 which in our opinion is the original and most important problem to address. is remarkably successful on long-distance scales from binary pulsars  and planetary orbits  to shortdistances of 1 mm . 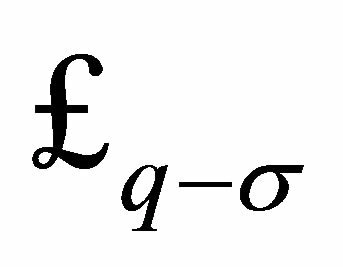 However, one of the lessons from particle physics and QFT has been that SSB clearly involves a scalar field (below in Section 3.2) which generates a VED contribution to the CCP. Furthermore, SSB is involved in the bag model whose scalar has been proposed as responsible for confinement in hadron physics (below in Section 3.3) since there is no scalar in QCD  save for gluon and quark condensates. Because hadrons comprise most of the matter in the universe, such a scalar field must be a gravitational one since only gravity is coupled universally to all physics. It couples attractively to all hadronic matter in proportion to mass and therefore behaves like gravitation similar to the scalar Spin-0 component of a graviton. 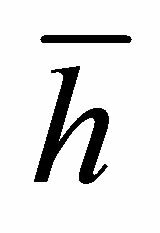 Also, hadrons are a primary example of SSB known to exist experimentally and whose VED is determinable in the laboratory. 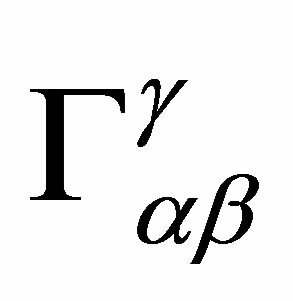 This means that a JFBD-type scalar-tensor theory of gravitation [40-42] should be an obvious candidate for modifying (9) in order to incorporate the SSB features of bag theory and hadron physics into gravitation theory at sub-mm scales. 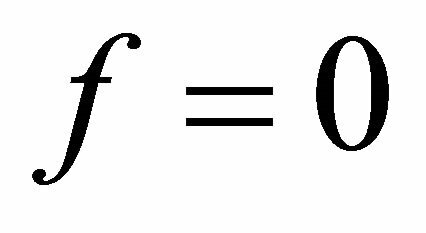 Einstein gravity has prevailed experimentally over JFBD scalar-tensor theory since the parameter Ω appearing in the latter has planetary time-delay measurements that place it at best as while Cassini data indicates it may be [43-45]. 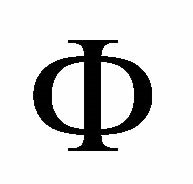 Therefore Ω is very large and , although there are exceptions to this limit . 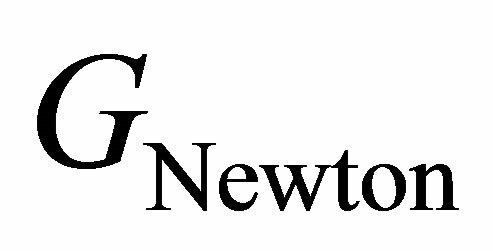 Hence EG and the Newtonian inverse-square law are the correct theory of gravity above 1 mm. The use of JFBD theory here will only introduce new experimental possibilities at sub-mm scales involving hadrons where Ω has never been measured. This modification will not change experimental EG as we currently understand it. 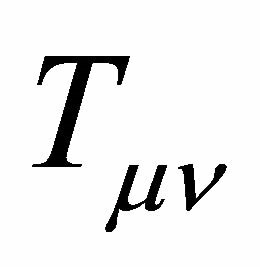 That the QFT vacuum is Lorentz invariant as in (10) is a fundamental cornerstone of QCD . 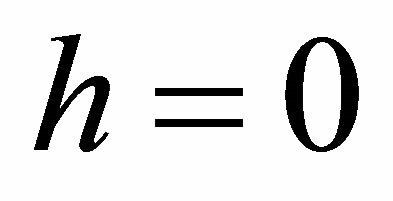 Similarly, the vacuum fluctuations (again Section 2) in QCD have infinitely many degrees of freedom, contributing an infinite energy to (10). 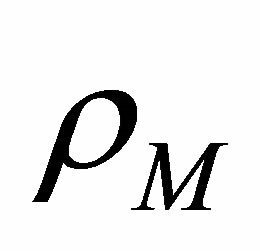 These are gotten rid of by “renormalization”; physicists are rarely interested in the very highfrequency modes, so their zero-point energy is assumed to be an unimportant additive constant which can be set to zero . Now consider the APdS vacuum in (7). Physicists as observers can never “see” beyond the Gibbons-Hawking event horizon . But the global Killing charges in (4) are typically conserved, and this guarantees that the vacuum fluctuations on the APdS vacuum for can likewise be set to zero by the same convention as in the flat Minkowski case for QCD. 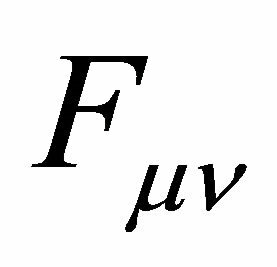 Regardless of their vacuum fluctuations, their vacuum averaged value must be zero, in spite of the uncertainty principle, else the Killing charges representing the background spacetime are not conserved. Next we come to another important point in this picture. In modern cosmology, the notion of phase transitions plays a fundamental role. These involve SSB and contribute to the VED . The consequence is that the effective vacuum potential responsible for SSB has two phases  and takes on two vacuum states. 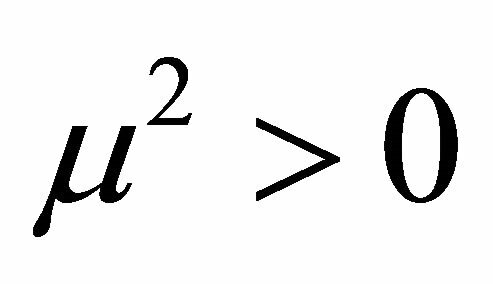 In hadron physics, there is the bag constant which represents an internal negative pressure that subtends the hadron (Figure 1, later). It is not the same as for the background in (7). These multiple values of the gravitational APdS vacua are not space-time-dependent. Rather they are temperature-dependent. They occur because the vacuum exists at a finite temperature produced by curvature-induced quantum corrections in gauge theories with scalar fields . 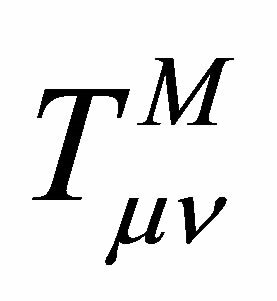 Spacetime thus has a chemical potential and is temperature-dependent in these asymptotic metrics for temperature T. It is the presence of thermal matter (hadrons) that breaks the Lorentz invariance of these vacuum states . Figure 1. 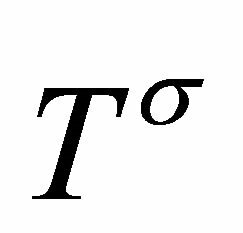 The two vacuum states of the cosmological constant in the scalar-tensor model. The scalar σ-field has undergone a phase transition and breaks the symmetry of the temperature-dependent vacuum, creating two vacuum states , and . Inside the hadron at . Outside the hadron at , the gravitational ground-state energy density of the vacuum Evac is defined by the background metric ημν in (7) with for the Friedmann-Lemaitre accelerating universe. Both are a de Sitter space. Lorentz invariance of the global vacuum in (10). 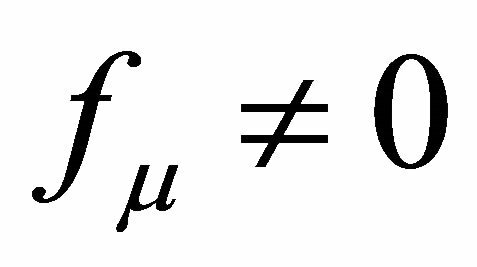 A local Lorentz boost and Poincaré translation from the outside of the hadron, into its interior, do not result in the same vacuum. This will become evident in Section 3.2. Therefore, the fundamental basis for (9) and (10) cannot explain the existence of hadrons in the universe today. For this reason, we turn here to the original standard scalar-tensor theory [40-42] for an answer. 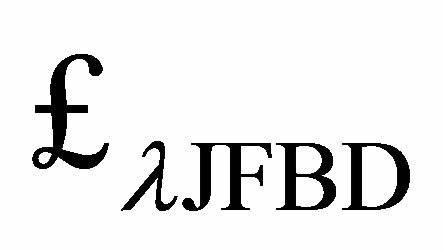 The historical motivation for the JFBD theory was to create a timedependent, variable gravitation constant . That is not the purpose here. 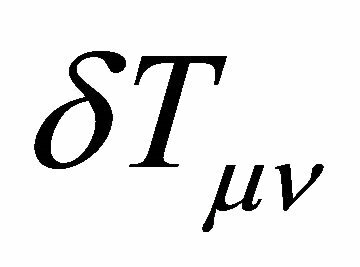 Rather, the self-interacting scalar field ϕ will be regulated by the SSB process and must allow both G and λ to have two different states or values, one inside and one outside the hadron, that are temperature-dependent. EG in (9) cannot accomplish this. 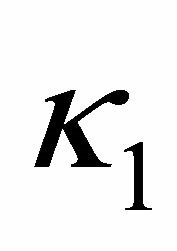 where represents the self-interacting scalar σ-field as a nontopological soliton (NTS).11 is the bag constant and is positive. The work of Friedberg, Lee, and Wilets (FLW) is reviewed in [58-61]. See also . In all cases (12)-(14), Uo represents a cosmological term,12 and all are unrelated except that they represent the VED of the associated scalar field. 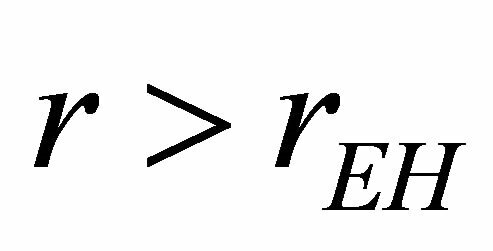 The terms in have a mass-dimension of four as required for renormalizability. 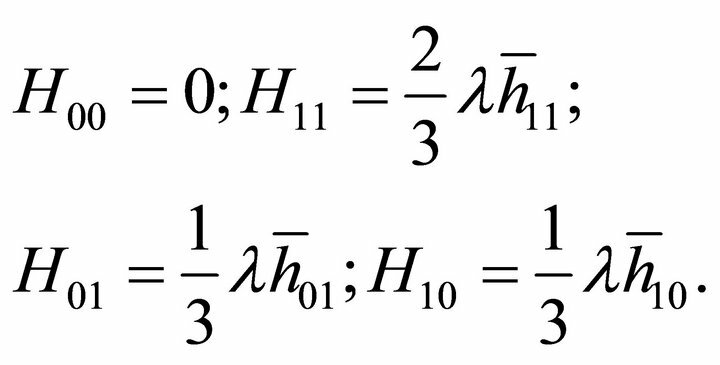 In the case of (11) and (12), it is the addition of the Higgs scalar η that makes the standard electroweak theory a renormalizable gauge theory. 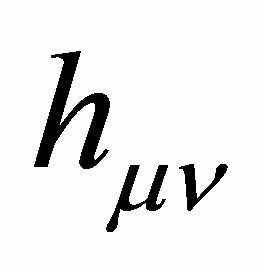 Also, the electroweak bosons obtain a mass as a result of their interaction with the Higgs field η if it is present in the vacuum. is the APdS background defined by in (7) as argued in Section 2 and is given by (1). The second vacuum state at is internal to the hadron and is given by the bag constant . 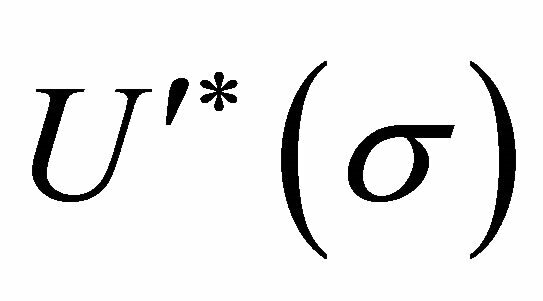 in (14) is not a bare parameter determinable by a calculation, any more than Uo in (12) derives a Higgs mass. 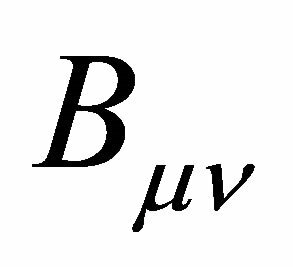 B is a fundamental parameter of FLW bag theoryis determinable by experimental hadron spectroscopy that models all hadrons, and is defined below. On the other hand, quark and gluon confinement is generally attributed to the nonperturbative structure of the QCD vacuum. This is the basis for the MIT bag model [65,66] which first introduced B and visualized hadrons as bubbles of perturbative (PT) vacuum immersed in the nonperturbative (NP) QCD vacuum. In that case, a truly NP VED in Yang-Mills theory has been derived [67,68]. 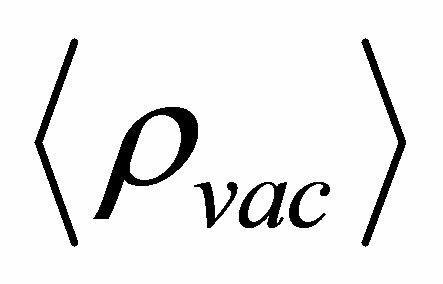 The difference between PT and NP vacua is by definition B, provided of course that someday backreaction of the APdS spacetime is properly accounted for in QFT and QCD . In what follows, we will show how to resolve CCP-1 in hadron physics using (14). This will be done in the fashion of a modified JFBD scalar σ nonminimally coupled to the tensor field in (9). As discussed regarding (14), λ in (9) is actually a potential term that contributes to . 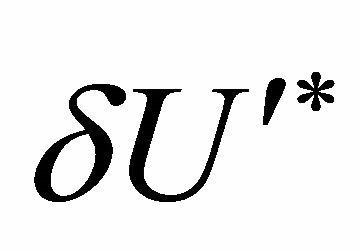 In that manner it couples to the SSB self-interacting quartic field σ added to give QCD a scalar field  in the FLW bag model. However, here σ will be treated as a gravitational field in order to address CCP-1. 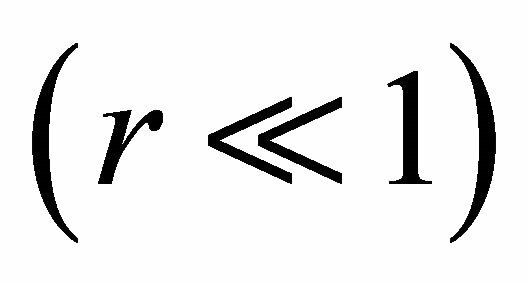 where now contributes to the σ-field tensor . 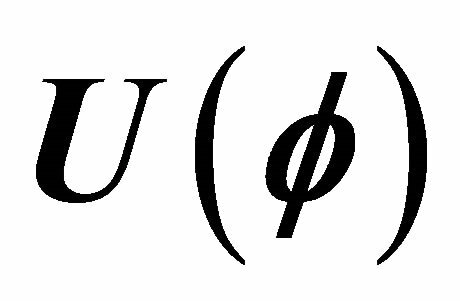 The matter tensor is in (9), and their sum in (16) is conserved by the Bianchi identities. We will derive below using scalar-tensor methods. 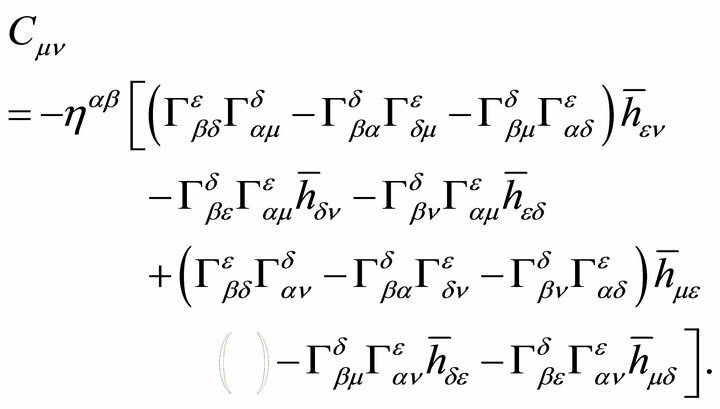 Note that (17) resolves the mass dimensionality of λ and B in that both sides of the equation have mass dimension two. and will be introduced shortly as (27). The σ-field may be interpreted as a gluon condensate arising from nonlinear interactions of the color fields . Regardless of its origin and composition, this scalar is the basis for the model under discussion. where counterterms are not shown. 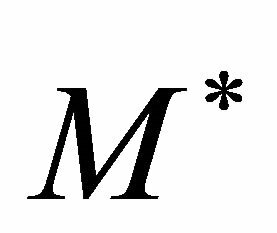 m is the quark flavor mass matrix, f the σ-quark coupling constant, gs the strong coupling, Fμν the non-Abelian gauge field tensor, Dμ the gauge-covariant derivative, and the gravitation-covariant derivative (also in Fμν) with the spin connection derivable upon solution of (15) above, defining the geodesics. is the phenomenological dielectric function introduced by Lee et al. [53-55], where and in order to guarantee color confinement. The SU3 Gell-Mann matrices and structure factors are λc and fabc respectively. A variant adopts to simplify (26) when pion physics is not involved. With (28) and (29), variation of (27) will now give the final equations of motion. The derivation of is a textbook problem  except that the latter was a classical treatment following BD—both of which neglected λ, any potential , and the renormalization restrictions on in (14). 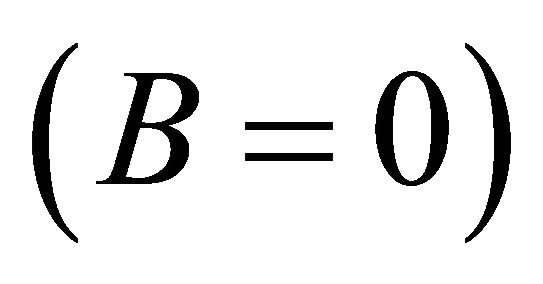 We want to find the coefficients A, B, C, D, and E.
where and κ1 is the source of coupling to the traditional trace in JFBD theory. There is now coupling to the trace in (45) compared to (24). 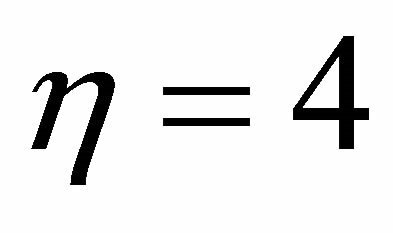 If , (44) is a conformally mapped set of Einstein field equations. In order to visualize the results (44), (45), and (25), Figure 2 illustrates this scalar-tensor approach to CCP-1. Bag Boundary Conditions. Bag surface boundary conditions are discussed in Ref. , p. 103, where the following can be adopted: for gauge fields; and for quark fields. As a problem in bubble dynamics, one uses for a quark current J and surface tension Σ. Alternatively the more recent Lunev-Pavlovsky bag with a singular YangMills solution on the bag surface [73-76] can be utilized (also probably eliminating the need for in (23), a point that is yet to be addressed). where is the remainder of (26) after moving the aσ term to the left-hand side. Hence a static solution must have a Yukawa cutoff where . Figure 2. 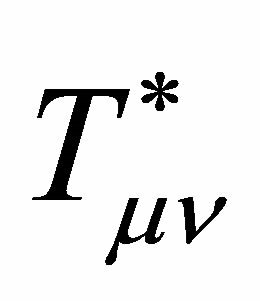 The existence of two vacuum states for characterized by Equations (16), (44), (45), and (47). The exterior is traditional Einstein gravity where . 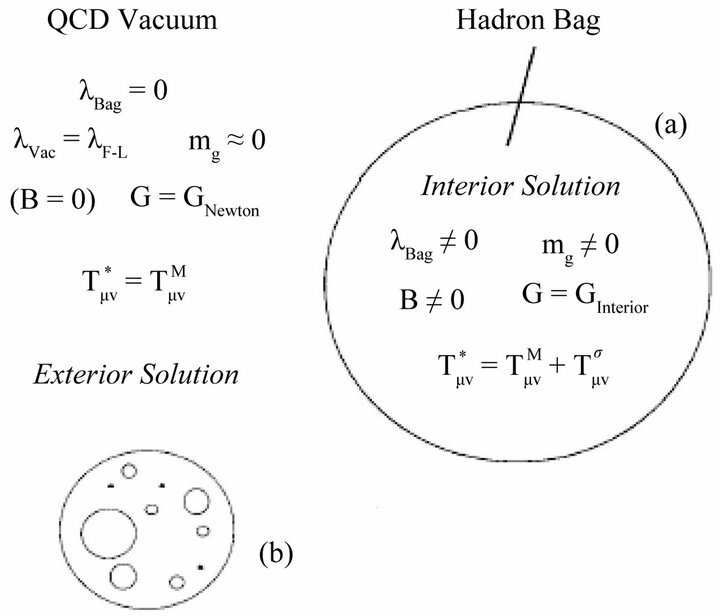 (a) A single hadron bag is depicted with ; (b) The general interior solution is depicted as a many-bag problem using a Swiss-cheese (modified Einstein-Straus) model with zero pressure on the bag surfaces. Applicable boundary conditions are in [72-76]. 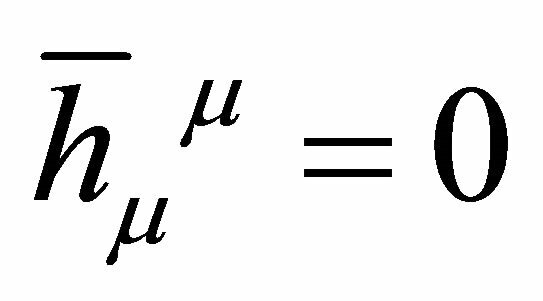 This is characterized in Figure 2 by indicating that the energy-momentum tensor is confined to the hadron which is consistent with the original conjecture of FLW that the σ-field be related to confinement. Bag Interior Conditions. By virtue of the bag condition (17), several new features come into play. First, this relation is specific to the interior of the bag. Second, the BD ansatz is now tied to the cosmological parameter λ too.17 This means that when the phase transition and SSB occur, there exist two de Sitter spaces in Figures 1 and 2. 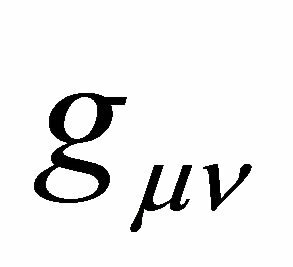 Both λ and G can differ between the two vacuum states. When (no bags), in Figure 1, restoring itself to the ground-state vacuum of the APdS background (Section 2). Similarly, is not guaranteed in theory to be the same in the hadron interior as outside. This is a matter for experimental investigation (Section 4.2 below). Summary. 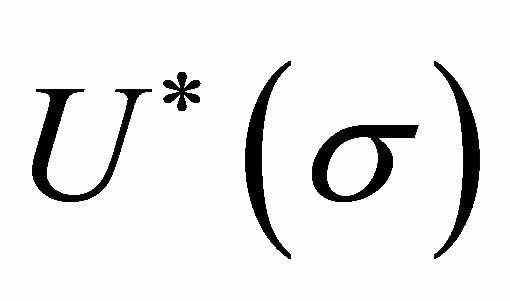 Semi-classically speaking, the scalar-tensor theory of gravity in the presence of the QCD Lagrangian representing FLW bag theory in (18) and (19) has no apparent problem associated with the existence of two vacuum states, one in the exterior and one in the interior of hadrons. This model has been done entirely in de Sitter space, whereby the principle of compatible asymptotic Killing charges (Section 2) has not been broken. Thus, CCP-1 does not appear to apply to scalar-tensor gravity when nonminimally coupled to hadron physics. 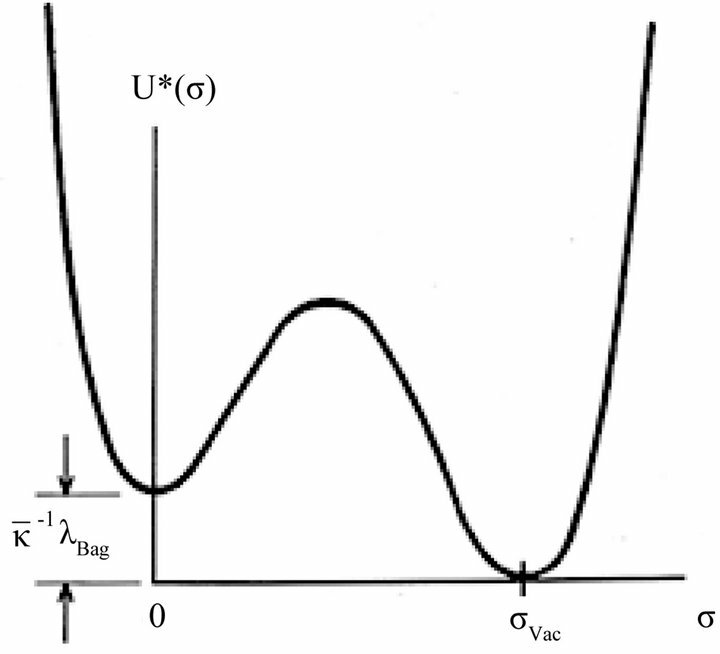 The model allows for two vacuum states, as bags indicate experimentally. One is the F-L ground state and the other is the hadron interior . 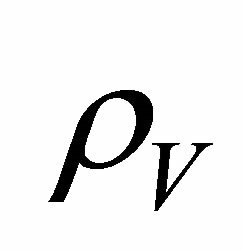 However, the issue of vacuum stability for this model is a crucial assumption because one can argue that it is unstable to radiative corrections. But radiative corrections have long been suggested as the origin of SSB to begin with . These similarly are important for dynamical SB (DSB) models as well [78,79]. 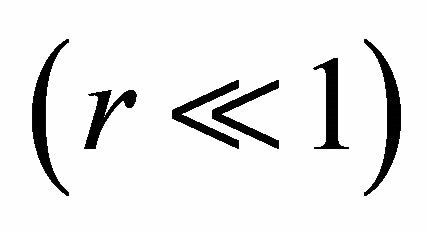 Since SSB has been adopted for the basic quartic potential in (13) and (14), then there has been an implicit assumption that the scalar-tensor configuration presented here is stable to radiative corrections. Vacuum stability of this model is a subject for further study, in particular when QCD confinement is more thoroughly understood. The connection between λ and graviton mass (Appendix) has a bearing upon identifying the APdS spacetime as the ground state vacuum for the CCP with its associated Killing charges in the AD formalism, in order to rectify CCP-2 in Section 2. Because there exists the G-H event horizon in such cosmological spacetimes, any association of λ with a graviton mass is very pertinent even if it is gauge dependent. 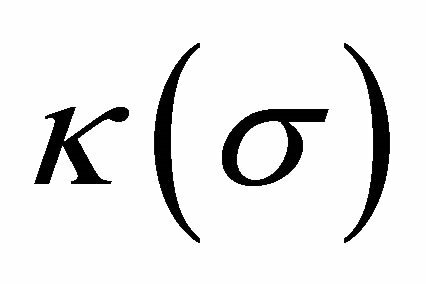 In the Appendix as (67), it is shown in the weak-field approximation that a graviton mass is associated with a small λ such as (1) for de Sitter spacetime. It is equivalent to the surface gravity found by G-H . These in turn relate directly to the radius of the event horizon defined by the singularity in (2) and (3) at . Next, finite temperature effects must be discussed and this is done below in Section 4.1. Experimental aspects follow in Section 4.2 and are recapitulated in Table 1. A digression on the effect of finite temperature T upon is pertinent because it is relevant to experiment. The subject is also pertinent to the basic concept of a temperature-dependent spacetime in gravitation theory, and equally so to the topic of cosmological event horizons. The subject is treated in the usual fashion [80-82]. The classical, zero temperature potential in (14) becomes . 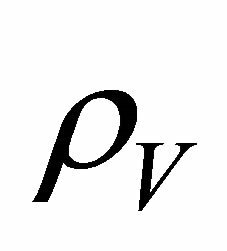 This involves scalar VS and fermionic VF correction terms for chemical potential μ, by shifting σ as . The result is a temperature-dependent cosmological bag parameter [83,84] which decreases with increasing temperature T until the bag in Figure 2 dissolves and symmetry is restored in Figure 1. Table 1. Summary of the masses, VED’s, and λ’s in spacetime. 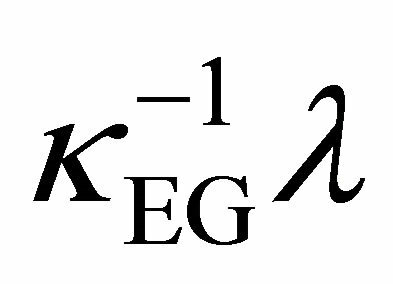 (SB) constant kSB is a function of the degeneracy factors dB for bosons (gluons) and dF for fermions (quarks and antiquarks). The absence of the baryonic chemical potential μ in (48) is a valid approximation for ongoing experiments involving nucleus-nucleus collisions. 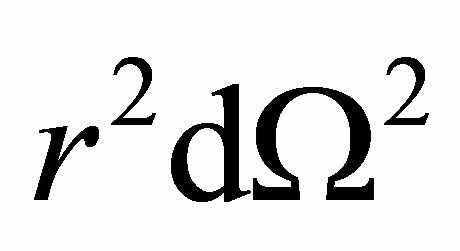 All are relevant to quark-hadron phase transitions and the quarkgluon plasma (QGP). As mentioned previously (Section 3), EG appears to be the correct theory of gravity above 1 mm. The subject here is below that scale in the Large Hadron Collider (LHC) realm of particle and nuclear physics. 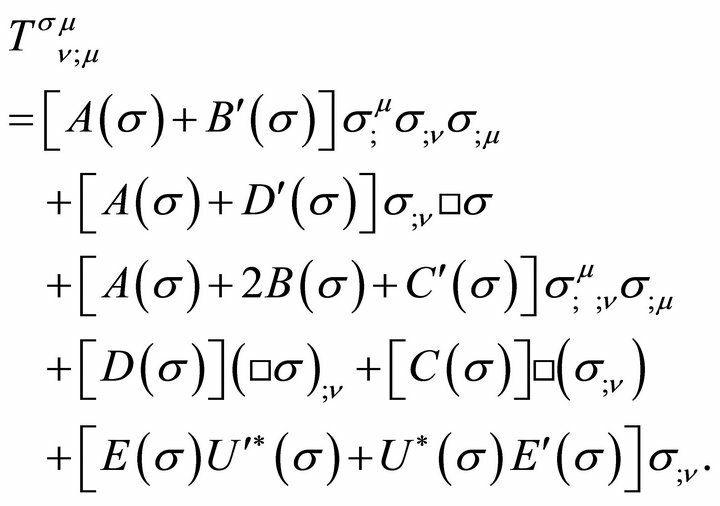 Granted, the treatment in this paper has neglected the standard model in order to present a tractable discussion of hadrons, gravity, and the CCPs. Within the hadron bag. Here one has due to (17) and (67). 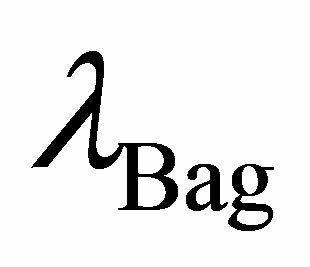 Adopting a simplified view of the hadron interior and a bag constant value from one of the conventional bag models, the MIT bag [65,66] where or , then follows from (17).18 Using (67) in the Appendix, a graviton mass or is found within the bag. 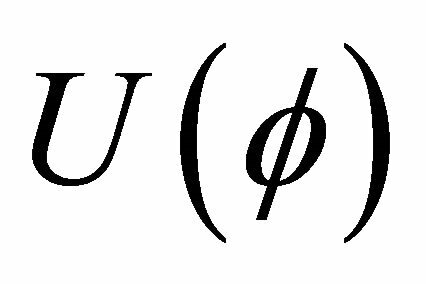 Although this appears to represent a Compton wavelength of or range of , it is derived from and is only applicable for the interior solution. This is depicted in Figure 2. It has no range outside of the bag where . 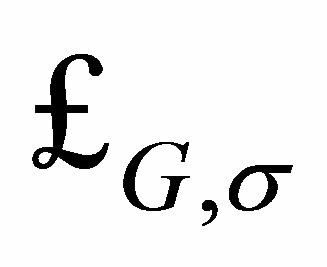 A similar calculation for the Yang-Mills condensate [67,68] gives and or , and . 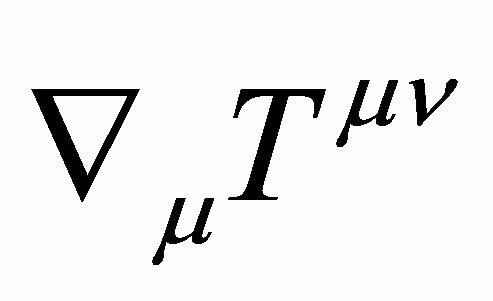 which is equivalent to for the de Sitter background in (7) for the F-L accelerating universe [7,8]. Summary. The results for this model are as follows. In the exterior we have a graviton mass and a range of which is approximately the Hubble radius. That is, gravitation outside of the bag is finiteranged reaching to the G-H cosmological event horizon . Gravitation within the bag is short-ranged. 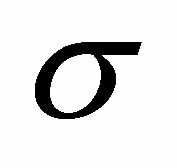 Clearly the sign of λ must be positive (de Sitter space) in (67) in order that an imaginary mass not be possible. The latter represents an unstable condition with pathological problems such as tachyons and negative probability. (67) is a physical argument against such a circumstance. At this point the fundamental postulates that have been made are summarized. These have been discussed and alluded to throughout but are now recapitulated. 1) Einstein gravity is the true theory of gravity at length scales above 1 mm. 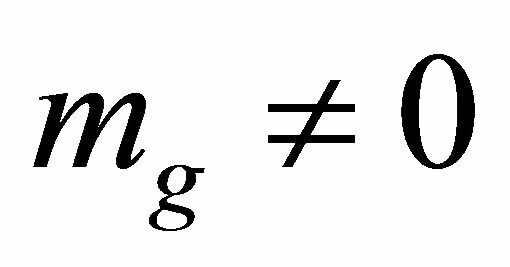 2) The gravitational field couples minimally and universally to all of the fields of the Standard Model, as does Einstein gravity . However, also couples nonminimally to the composite features of and . 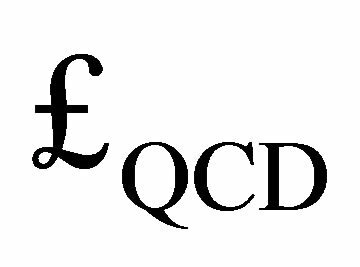 The term represents hadron physics which includes QCD in the exact limit (see Ref. , p. 19). The JFBD ansatz is assumed. 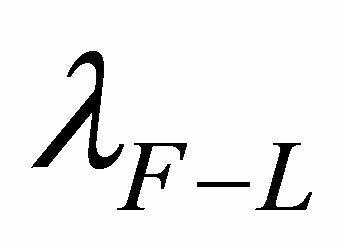 3) The nonlinear self-interacting scalar σ-field represented by Lagrangian is a gravitational field, because it couples universally to all hadronic matter. 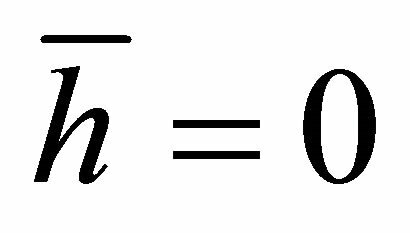 Since σ has a mass (46) it and in (16) have a cutoff and are confined to the hadron in Figure 2(a). 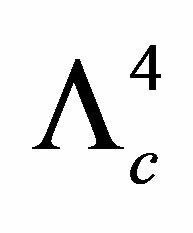 4) General covariance is necessary in order that the Bianchi identities determine conservation of energymomentum from in (15). However, in the hadron exterior, . That means matter follows Einstein geodesics and obeys the principle of equivalence as expected there. 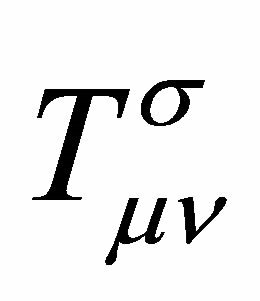 5) Stability must be assumed for δTμν in the Appendix. 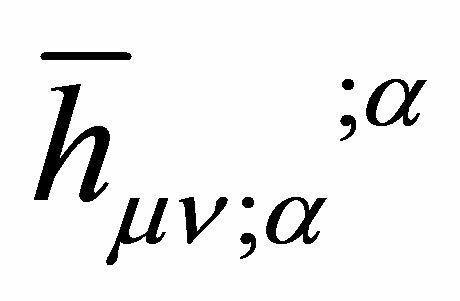 Use of the harmonic gauge, in (53), suppresses the vector gravitons and manifests a tiny graviton mass , but breaks general covariance. The consequence is not measurable within the observer’s cosmological event horizon. 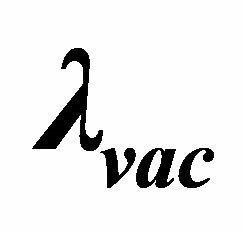 6) Temperature-dependent quantum vacuum fluctuations result in a broken vacuum symmetry, producing two distinct vacua containing two different vacuum energy densities and . Lorentz and Poincaré invariance are broken by in the interior of hadrons. Because , this broken symmetry is subject to restoration. 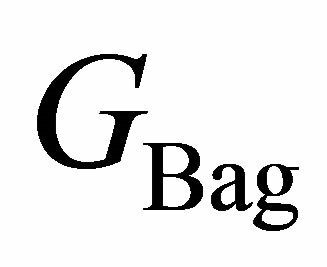 7) The stability of the bag is assured by the vacuum energy density B which is a negative vacuum pressure. Similarly, the scalar-tensor representation of the hadron interior is stable against radiative corrections. 8) The principle of compatible asymptotic states (Killing charges) is assumed. This means that the global energies of flat ADM metrics are not compatible with those of APdS metrics. 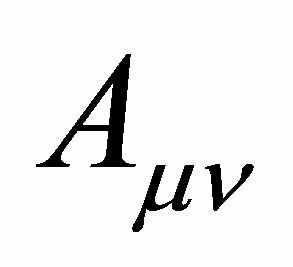 ADM energies cannot be consistently compared globally with AD energies in the definition of ground-state vacua for de Sitter space, lest infinities be introduced. Hence, derivations in flat Minkowski space are not relevant to the CCP if (1) is accepted as evidence for λ contributing to the acceleration of the universe in FLRW cosmology whose current phase is an APdS metric. A tenable model for the origin of hadron bound states in bag theory has been shown to derive from the cosmological constant λ in scalar-tensor gravity, noting that the familiar Higgs mechanism does not account for the mass of composite particles such as hadrons. 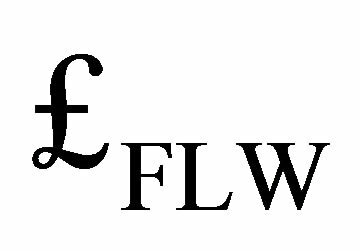 The bag model of Friedberg, Lee, and Wilets (FLW) is used instead. 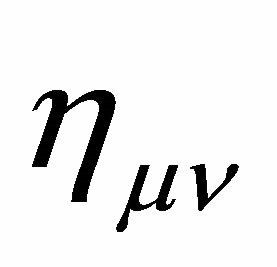 According to the development in Section 3, a scalartensor treatment of gμν nonminimally coupled to hadrons using the nonlinear self-interacting scalar field σ results in a model of gravity that has two different ground-state vacua. Such a theory exists and resolves CCP-1 adopting the assumptions made here. Experiment and theory must eventually settle the differences between the MIT bag model and the Yang-Mills condensate solution for bag constant B in Section 3.2, but this does not alter these results. As a model, this point of view represents a tenable strategy for reconsidering CCP-1 and CCP-2 from hadron physics to cosmology. Without directly relating the bag constant to the global energy in APdS spacetime, any of the other proposed “solutions” of the CCP(s) are incomplete. 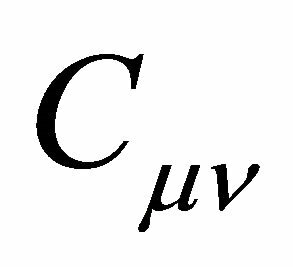 There is little surprise regarding CCP-2 for the large disparity between ground-state VEDs when derivations in flat Minkowski spacetime are being directly compared with those from APdS in cosmological gravity. This breaks the principle of compatible asymptotic states, by comparing energies derived from spacetimes that have entirely different Killing charges and global energy properties. A great deal of work on APdS structure and its relation to VEDs is therefore required before we will truly understand the CCP. Finally, conventional massive gravity has not been used in the strategy proposed here to address the CCP . 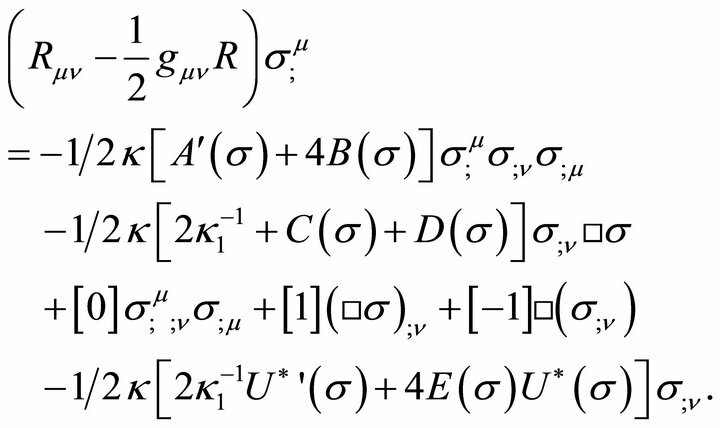 This investigation involves only λ and its relationship to asymptotic infinity, with a graviton mass mg (65) and (67) that manifests itself by suppressing the vector gravitons fμ in (53). In this study, mg arises instead by introducing into the well-known Regge-Wheeler problem (see Appendix). The author would like to acknowledge helpful communications with B. Tekin, as well as O. V. Pavlovsky, S. J. Aldersley, and A. Waldron. A. Einstein, Preussische Akademie der Wissenschaften, Sitzungsberichte, 1917, pp. 142-152. A. Einstein, Preussische Akademie der Wissenschaften, Sitzungsberichte, 1919, pp. 349-356. M. Bronstein, Physikalische Zeitschrift der Sowjetunion, Vol. 3, 1933, pp. 73-82. T. Damour, Journal of Physics G: Nuclear and Particle Physics, Vol. 37, 2010, p. 225. R. Arnowitt, S. Deser and C. Misner, “The Dynamics of General Relativity,” In: L. Witten, Ed., Gravitation: An Introduction to Current Research, John Wiley & Sons, New York, 1962, pp. 227-265. H.W. 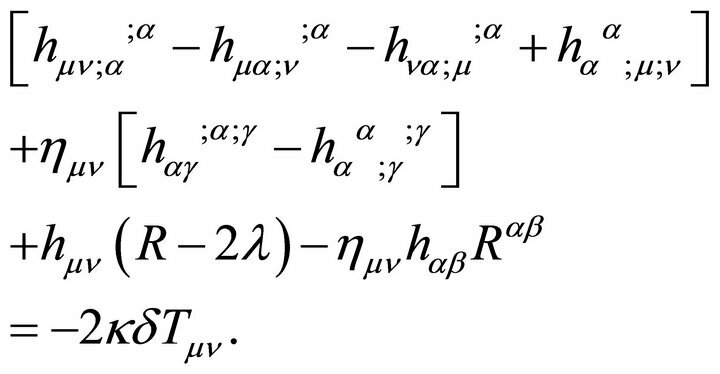 Hamber, “Quantum Gravitation,” Springer, Berlin, 2009. K. A. Olive and J. A. Peacock, Journal of Physics G: Nuclear and Particle Physics, Vol. 37, 2010, pp. 230-245. S. Weinberg, “Cosmology,” Oxford University Press, Oxford, 2008. C. M. Will, Living Reviews in Relativity, Vol. 9, 2006, pp. 3-100. P. Jordan, “Schwerkraft und Weltall,” 2nd Edtion, Vieweg, Braunschweig, 1955. M. Fierz, Helvetica Physica Acta, Vol. 29, 1956, pp. 128-134. E. V. Shuryak, Physics Reports, Vol. 115, 1984, pp. 151- 314. T. D. Lee, “Particle Physics and Introduction to Field Theory,” Harwood Academic, New York, 1981. L. Wilets, “The Non-Topological Soliton Bag Model,” In: K.-F. Liu, Ed., Chiral Solitons, World Scientific, Singapore, 1987, pp. 362-405. L. Wilets, “Nontopological Solitons,” World Scientific, Singapore, 1989. M. Guidry, “Gauge Field Theories,” John Wiley & Sons, New York, 1999. U. Mosel, “Fields, Symmetries, and Quarks,” Springer, New York, 1999. S. Weinberg, “Gravitation and Cosmology,” John Wiley, New York, 1972. Erratum, Letters to Journal of Experimental and Theoretical Physics, Vol. 20, 1974, p. 29. V. V. Begun, M. I. Gorenstein and O. A. Mogilevsky, Ukranian Journal of Physics, Vol. 55, 2010, pp. 1049- 1052. R. Friedberg and T. D. Lee, “A Soluble Model of ‘Higgs Boson’ As a Composite,” 2009. http://lanl.arxiv.org/abs/0912.0364 . T. L. Wilson, “Gravitational Radiation Theory,” Master’s Thesis, Rice University, Houston, 1973. S. Weinberg, “The Quantum Theory of Fields,” Cambridge University Press, Cambridge, 2005. V. I. Zakharov, Letters to Journal of Experimental and Theoretical Physics, Vol. 12, 1970, pp. 312-314. A. Zee, “Quantum Field Theory in a Nutshell,” Princeton University Press, Princeton, 2003. 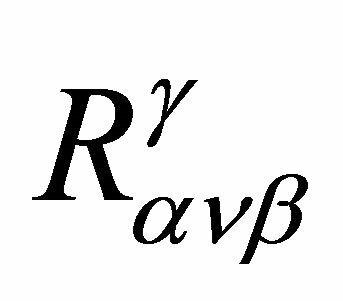 It was shown some time ago by this author  that the cosmological term λ in General Relativity can be interpreted as a graviton mass in the weak-field approximation, by introducing into the Regge-Wheeler problem. Note with caution that an unqualified graviton mass is beset with numerous problems in QFT. Tμν in (9) has an admixture of Spin 2, three Spin-1, and two Spin-0 components. These can lead to loss of unitarity, negative energy states, and ghosts.21 They possess 16 degrees of freedom which are reduced to 10 by energy conservation, then to six (6) by symmetry leaving Spin-2, Spin-1, and two Spin-0 helicities. Invoking a Lorentztype gauge condition such as in (53) that follows in Section A.2, eliminates the Spin-1 vector gravitons. A pure Spin-2 plus a Spin-0 that is coupled to the trace remains. If trace-free (such as empty space), pure Spin-2 remains. If the trace and the Spin-0 term remain, a scalar-tensor theory survives  which is what we assume here to begin with. so as to achieve a massive graviton without loss of unitarity. and its associated mass are never introduced in this study . 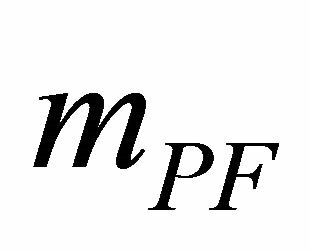 There also has been controversy involving mPF graviton propagators in the massless limit known as the vDVZ discontinuity. This has been resolved only recently (Section A.4 below). 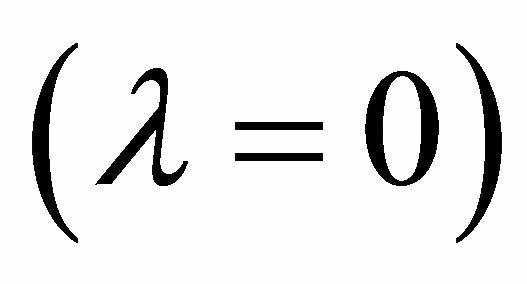 In Sections A.1 and A.2 the graviton mass associated with λ is derived. Section A.3 shows that there is no hidden λ-term in the curved-space Laplace-Beltrami term that cancels out the result. 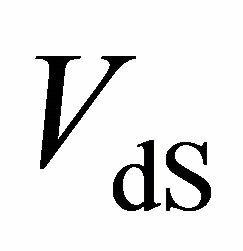 Section A.4 discusses , the vDVZ discontinuity, its resolution, and unitarity of λ as a graviton mass. Lastly, the issue of relaxing the assumption in (53) that suppresses the vector gravitons, and why is also discussed. The curved background first adopted is the Schwarzschild-de-Sitter (SdS) metric (2) and (3) applied to the Regge-Wheeler-Zerilli (RWZ) problem [95-100] for gravitational radiation perturbations produced by a particle falling onto a large mass with . 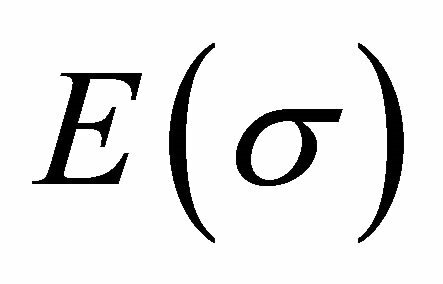 One considers a small perturbative expansion of EG (9) about the known exact solution given in (2)-(3) subject to the boundary condition that becomes as . 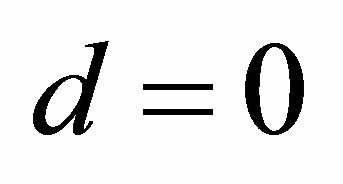 The metric tensor is thus assumed to be (7) where is the dynamic perturbation such that . which is the starting point for the RWZ formalism. 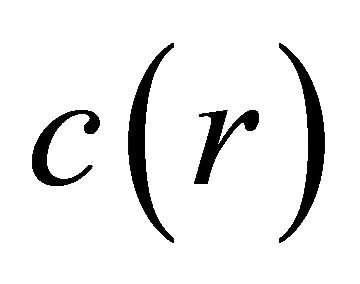 The Schwarzschild character of the RWZ problem above will now be relaxed, with again diagonal, but and in (2) and (3). The wave equation of paramount importance will follow as (64). and the trace to . One can arrive at (59) to first order in hμν by using gμν as a raising and lowering operator rather than the background ημν—a result which incorrectly leads some to the conclusion that λ terms cancel in the gravitational wave equation. Note with caution that (59) and the RWZ equation (56) are not the same wave equation. Overtly, the cosmological terms have vanished from (59), just like (56) where λ was assumed in the RWZ problem to be nonexistent in the first place. 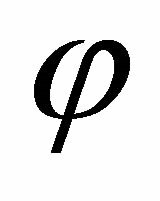 However, the character of the Riemann tensor is significantly different in these two relations. which is the surface gravity of the cosmological event horizon identified by G-H .
(64)-(67) when and , the d’Alembertian in a locally flat region of dS studied in Section A.2. 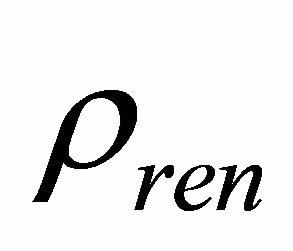 λ-terms appear but cancel out as shown below.
. Hence in (75) and (72). Therefore in the locally flat limit of (64). The traditional method for introducing a graviton mass in Spin-2 QG is using the P-F Lagrangian because it does not introduce ghosts. Its Spin-0 helicity can survive in the massless limit, also leading to a JFBD scalar- tensor theory of gravitation  as used here. 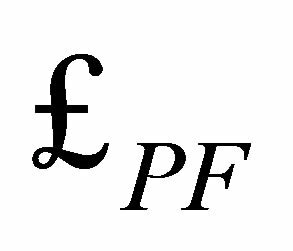 Problems with the P-F Lagrangian. 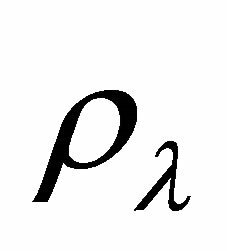 Unfortunately, P-F was originally done on a flat background ημν in (7) which possibly violates the principle of compatible asymptotic states discussed earlier in Section 2.1. Therefore, it needs to be re-analyzed. Secondly, it has not seemed to reproduce EG when (vDVZ below). Thirdly, P-F ignored . 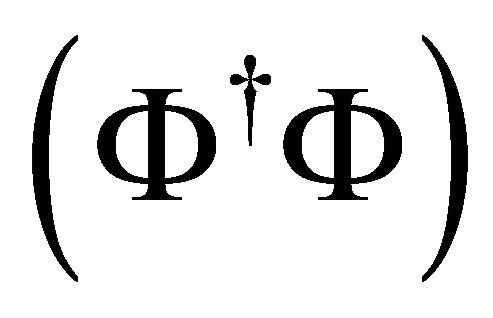 The work-around for this oversight is to conduct the P-F method with ημν representing a de Sitter space. This has been done by Higuchi [101,102] who obtains (66) above when one assumes , a point that reinforces the derivation and conclusions in Section A.2. vDVZ Discontinuity. The subject of finite-range gravitation resulted historically in what is known as the vDVZ discontinuity [93,103-111]. In the linear approximation to EG with , the zero-mass limit does not produce the same one-graviton propagator as the case. 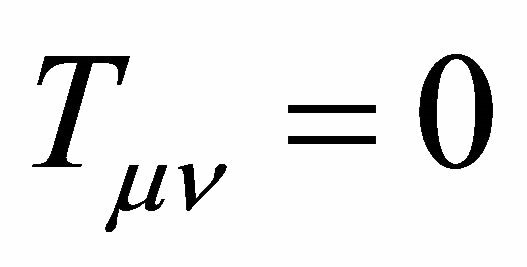 The consequence of the one-graviton approximation is that giving a nonzero mass to a graviton results in a bending angle of light near the Sun that is that of Einstein’s value, and the difference may be measurable . The resolution of this QG dilemma is making mg small enough and not using perturbative approximations . It has since been found that there is no mass discontinuity in the full nonlinear theory [109,110] and none in supergravity . The one-graviton exchange approximation does not produce the correct result for the full nonlinear QG problem . Unitarity. Symmetry and energy conservation reduce the 16 unknowns in hμν to six (6). 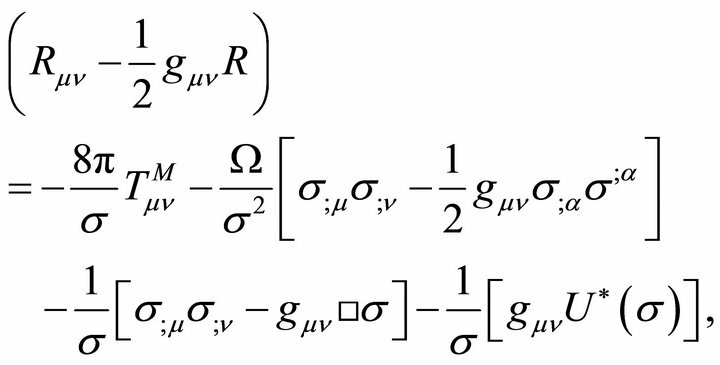 By suppressing the vector gravitons four (4) more are eliminated, leaving only two (2) for the supposedly “massless” 2S + 1 graviton—except that the cosmological term λ has survived in (63) and (64) as a mass term. It is a “transverse-traceless” gauge ( and ) with all of the other spin admixtures removed. 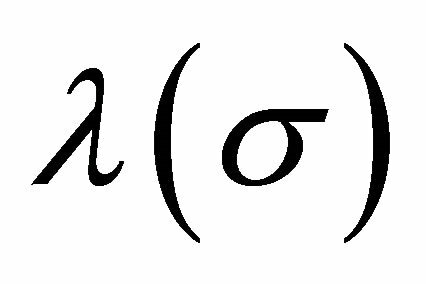 λ survives because the background is a curved de Sitter space and can be viewed as the origin of mass in (65)- (67). Bag Exterior, Free Graviton. From the discussion in Section A.2 and without the use of a P-F mass, the free graviton has a tiny -induced mass (Table 1) in the empty space of the hadron exterior that appears naturally in GR. This obviously has a smooth zero-mass limit as , as can be seen in (67) above. It has a range equal to the cosmological event horizon radius (Section 4). 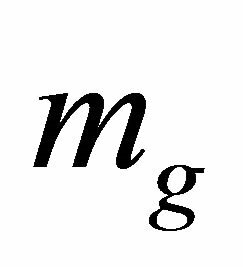 Such a small mass makes mg immeasurable. Bag Interior, Confined Graviton. In the interior case, there is a significant increase in due to the bag constant B as seen in Table 1. 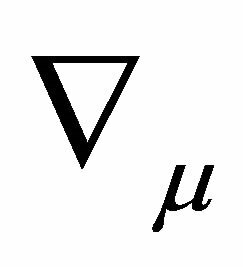 The vector gravitons are coupled to the gluon fields via in (53), relaxing that gauge condition. The Spin-0 graviton component is coupled to the σ-field via the trace in (45). There is need to analyze strong interaction physics within hadrons (Figure 2). That may possibly utilize the Pauli-Fierz mass in massive Spin-2 dynamics involving tensor mesons  because they can be present. Such calculations are far beyond the scope of this study. The extent to which plays a part will have to be determined by experiment and a better understanding of strong interaction physics and QCD confinement. Should this type of analysis prove necessary, it can readily proceed from the work of Higuchi [101,102]. 1Note that this study does not address “the” CCP because it is becoming increasingly apparent that we still do not seem to understand what “the CCP” is. Instead, the approach here is to try and define two CCPs, and devise a consistent method for solving them later when satisfactory theories of QG and QCD (quantum chromodynamics) confinement exist. 2Double-counting is commonplace in current methods, introducing in both (9) and (11)-(14) that follow. 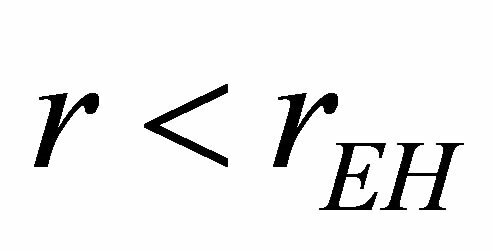 This affects the renormalization loop equations. An attempt to preclude double-counting will be made here. 3Note that the quartic cut-offs are QFT values derived in flat Minkowski space. These imply a gravitational curvature 10118 times that in (1) in EG where the Ricci scalar is not flat. Curvature and EG are ignored completely. This is the inconsistent cross-comparison problem that will be addressed in Section 2. 4In general, natural units , metric signature , and a 4-dimensional spacetime are assumed. 5For a different interpretation, see . 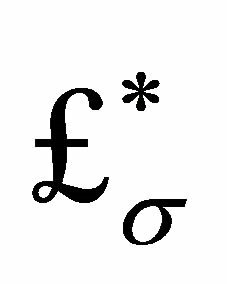 6Negative λ will not be considered, for reasons given later in Section 4.2. 7These have been characterized as improving the renormalizability of QG [26,27] although at the price of sacrificing unitarity [28,29]. 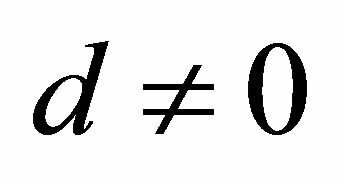 8There is no coordinate invariant gravitational energy or energy density of a finite volume. 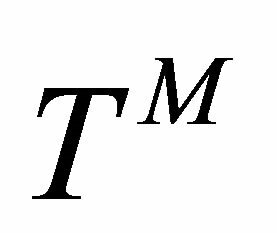 The global energy of the total spacetime is welldefined but only with respect to another spacetime having the same asymptotic structure . 9This subject will be elevated to a principle of compatible asymptotic structure or states (Section 5). 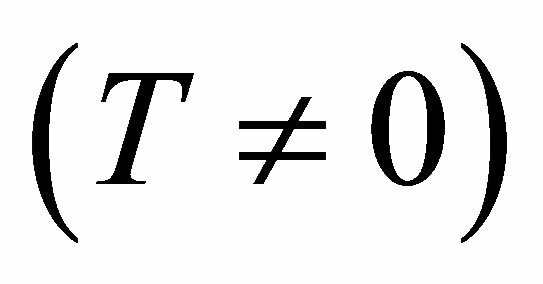 10R is the scalar curvature, Rμν is the Ricci tensor, gμν is the spacetime metric, Tμν is the energy-momentum tensor, and with where G is Newton’s gravitation constant, c is the speed of light, and . 11The asterisk in (14) is used to indicate that . 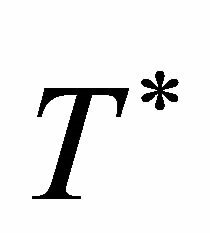 T*σ is a chiral SB term that represents the cloud of pions surrounding the bag. restores the symmetry. 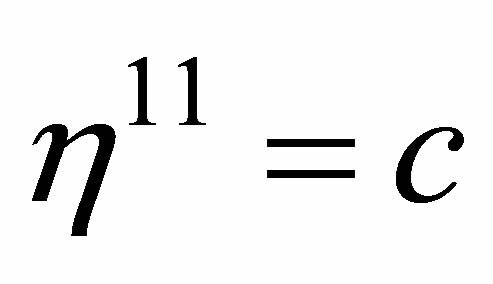 12Uo in (13) and (14) is an absolute number that is not experimentally measurable. This will become apparent in the definition of B that follows. 13Geometry in EG is determined by gμν—not which side of the equation λ is on. 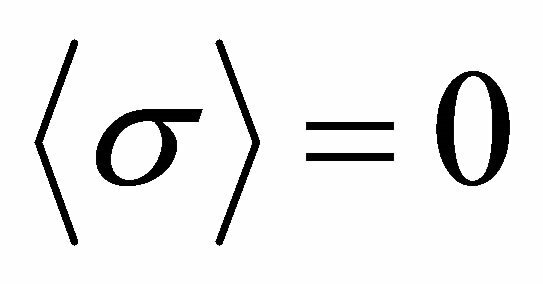 Also λ can only be introduced once, not both in (9) and (14) else there is double-counting. 15Exceptions can be made, but will not be entertained here. See the earlier study in Ref. .
17λ as a VED is thereby possibly related to the origin of G.
18In terms of units, the following conversions are helpful: , then or . Thus for . This assumes . 19This would move the Planck mass, . 20The recent suggestion of Friedberg and Lee  that the Higgs itself is composite and not elementary is very relevant to the experimental interpretations. See their references to earlier work on this subject [e.g. 89] and Lee’s website. 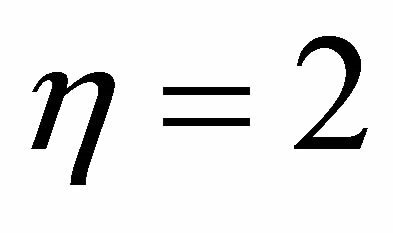 21Since a ghost has a negative degree of freedom (DOF), more ghosts must be introduced due to perturbative Feynman rules that over-count the correct degrees of freedom [91,92]. 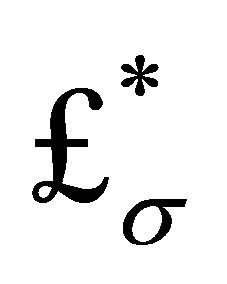 22The symbol □ in this Appendix refers specifically to an approximately flat space in (66), as opposed to its more general curvedspace meaning in the text used in (24) and (40)-(47). See the close of Section A.3. 23Only for a massless particle like the photon must masslessness be invoked, else QFT makes no sense—and hence gauge invariance. However, there is no experimental evidence that the graviton is massless. Hence, gauge invariance for a graviton is an open issue—particularly since EG is not a gauge theory.